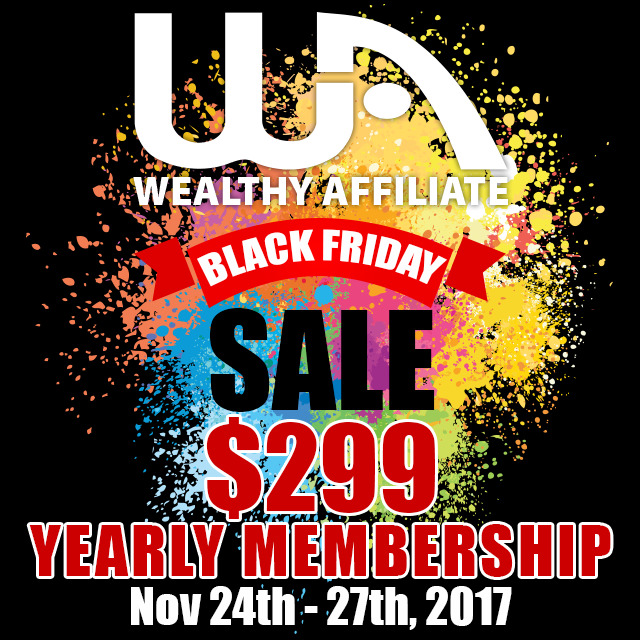 Take advantage of this AMAZING Black Friday OFFER from Wealthy Affiliate, home of the best Affiliate Marketing Training plus Website Development. This price WORKS OUT at only $0.82 per day. Fill in your details on the form to the right and take advantage of this great offer.